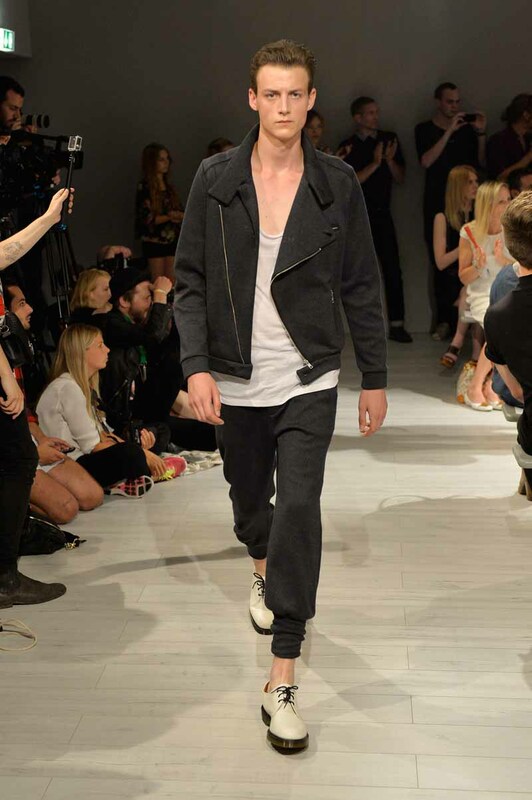 The Berlin men’s label SOPOPULAR was established in 2008. He has been managing SOPOPULAR OHG together with the entrepreneur Lucas Meyer since May 2011. The designer Daniel Blechman is also the creative director of the label. SOPOPULAR distances itself from the temporary nature of the current fashion world with the intention of creating modern classics and consistency. SOPOPULAR is fashion that outlives seasonal trends, whilst at the same time reflecting the current zeitgeist. Classic style elements of men’s fashion are given unconventional forms to create our own, clearly recognisable style, characterised by culture, architecture, and especially music. The philosophy of the Berlin label is to design urban men’s fashion, combined with classic lines and slim-fitting silhouettes as well as angular street wear elements. Quality and value emphasises the collection. Born in 1971 in Tel-Aviv, Israel, Daniel Blechman and his family moved to Berlin in his early childhood. The early nineties took him to Great Britain, where he completed a Bachelor in Interior Design at Richmond University. After returning to the German capital, he developed his passion for fashion and in 2008 set up his own label SOPOPULAR. “SOPOPULAR is the realisation of my own style, which was and still is shaped by my two most important stations in life: London and Berlin”, says designer Daniel Blechman about his own label SOPOPULAR.